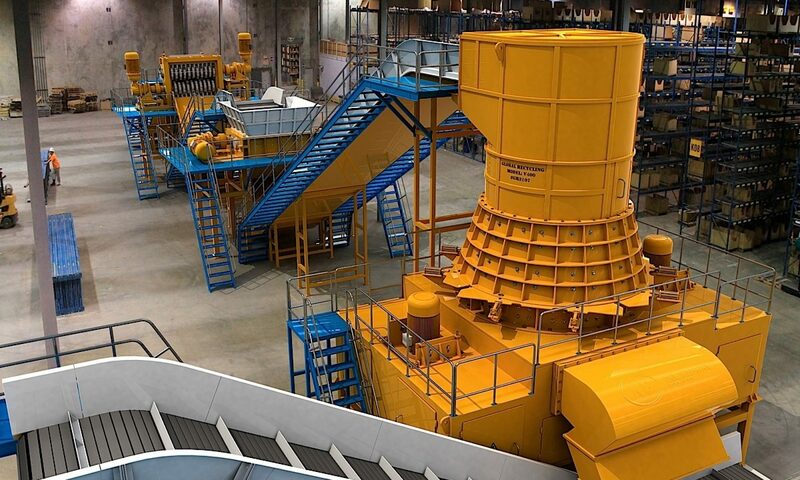 In this section, you will find machines that are ready for immediate shipment. in order to determine the cost of shipping, please contact our sales agent through the contact us page. 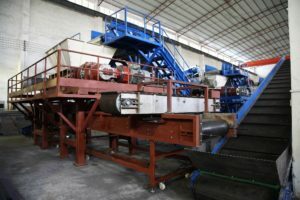 China shredder is the only Asian supplier of shredding lines. 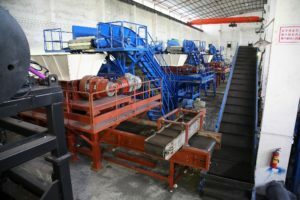 Having multiple shredders working in a line greatly increases capacity and reduces the need for maintenance. Distributing the work over several machines is the key to success in large shredding operation. The pictures bellow show three of our larger shredder models. This line was designed primarily for e-waste. Asides from the physical engineering of a system, a lot of electronic engineering is required. The entire system is controlled by computer programs that gather information from sensors all over the system, interpret the information and adjust the system component operation accordingly.